In the middle of the 18th century the Mangbetu people left the Sudan. They re-located their kingdom in the north-eastern part of the Democratic Republic of the Congo. Their social structure is not dissimilar to other Congoan forest-based tribes where the men hunt and fish, while the women are left to cultivate the fields. Yams, maniok and plantains are the primary crops, and some cattle farming is done. Unlike other Sudanic peoples, however, among the Mangbetu only the men are permitted to do the milking. Livestock is seen as a symbol of wealth and is often exchanged for bride prices. Ultimate authority over the 40,000 Mangbetu rests with a king whose sons govern the various provinces, which are divided into districts and villages. Mangbetu art, famous for its realism, is a court art. 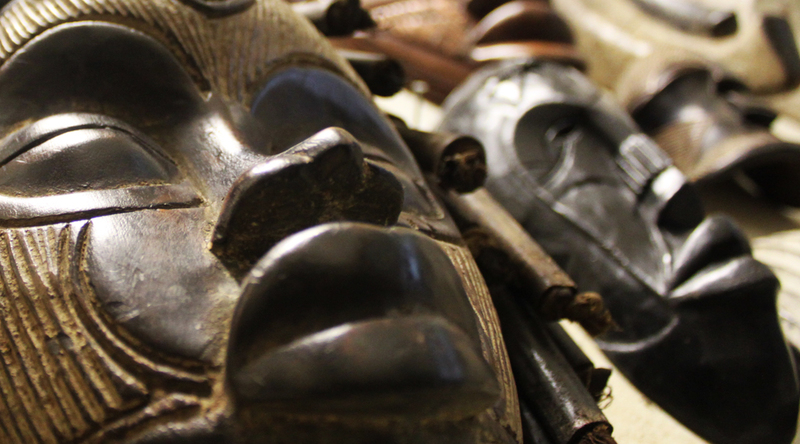 The Mangbetu adorned many prestige objects with figures, i.e. anthropomorphic harps, vases and pipes. Wooden figures are believed to be ancestral portraits.